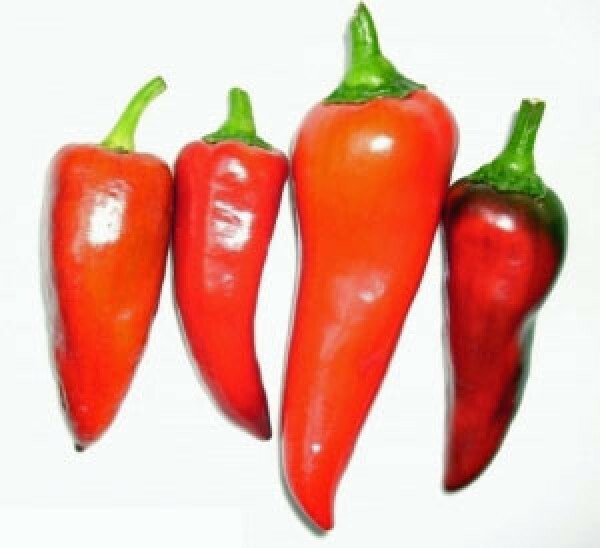 Info: The Capia Pepper is a very popular variety from Turkey - very fragrant, sweet and juicy and with a very high yield. The bushy plants (up to 70 cm in height) bear lots of fleshy chillies. They are about 5 x 12 cm in size and ripen from green to red. The aromatic peppers are suitable for fresh consumption, in salads, for filling, pickling and are extremely delicious straight from the grill, stuffed with minced meat. Kundenbewertungen für "Capia Pepper Chili Samen"